Last week, Apple announced its biggest fiscal fourth quarter ever, with the promise of an even bigger holiday quarter to come. 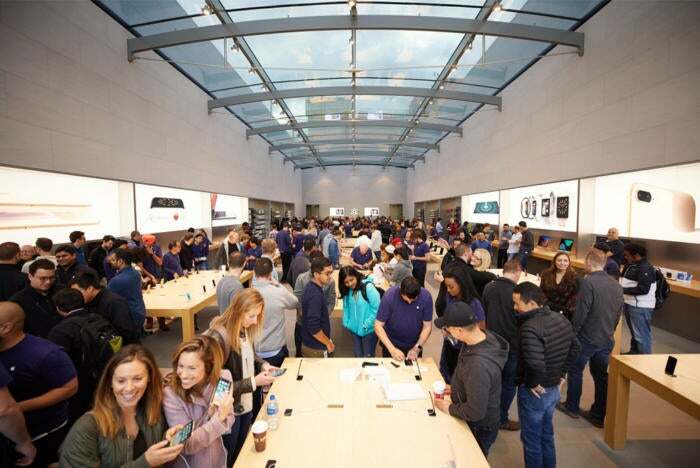 The three months encompassing holiday shopping—October through December—are always Apple’s biggest of the year, generating a third of the company’s overall revenue. Those projections blew away Wall Street’s predictions. And driving it all, as you might expect, is the iPhone. “We’ve put our best estimate into the guidance, and you can see from the guidance that we’re very bullish,” Apple CEO Tim Cook told analysts on a conference call last week. But he pointed out that the current state of affairs at Apple—in which three all-new iPhone models have been rolled out in the last two months—is unusual. “We’ll see how things go,” Cook said. “Granted, we’ve never done this before, so there’s no comparison here.... And so we’re gonna learn something!” That’s an unusual amount of candor from Apple about its projections, but the company is famously conservative with its estimates. It may also be true that Apple knows exactly how many iPhone units it’s capable of shipping and selling for the holiday quarter, and unless it ends up making more than it can sell (which is unlikely), it already has a very good idea how well the iPhone will sell. What gets wild is when you do the math about what the holiday quarter will look like, based on Apple’s guidance. If we assume that roughly 69 percent of Apple’s revenue comes from the iPhone—that’s roughly what it’s been the past few holiday quarters—that means Apple will be seeing a record $60 billion in iPhone revenue. Where does that leave us? It means that Apple would sell something like 85 million iPhones. 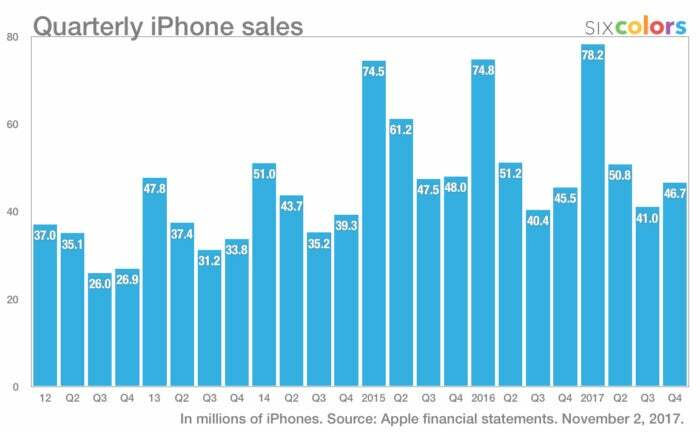 That would blow past the current record number of iPhones sold in a quarter, which was 78.2 million during last year’s holiday quarter. It’s a huge number, but not unreasonable. 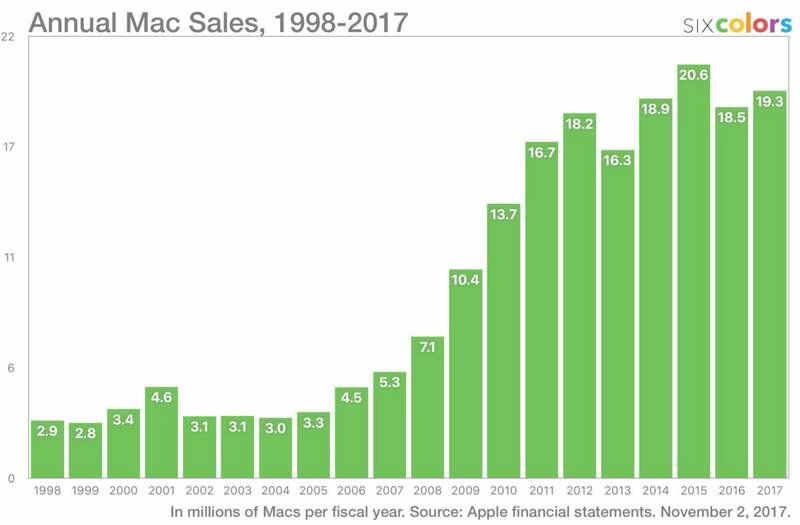 I’m going to be a stickler here and point out that 2015 was actually the Mac’s best year in terms of Macs sold, with 20.6 million sold in fiscal 2015 versus 19.3 million this year. But the larger story is true: The past four years are the four best years in history for the Mac in terms of revenue and unit sales. The past seven years are the seven best years. 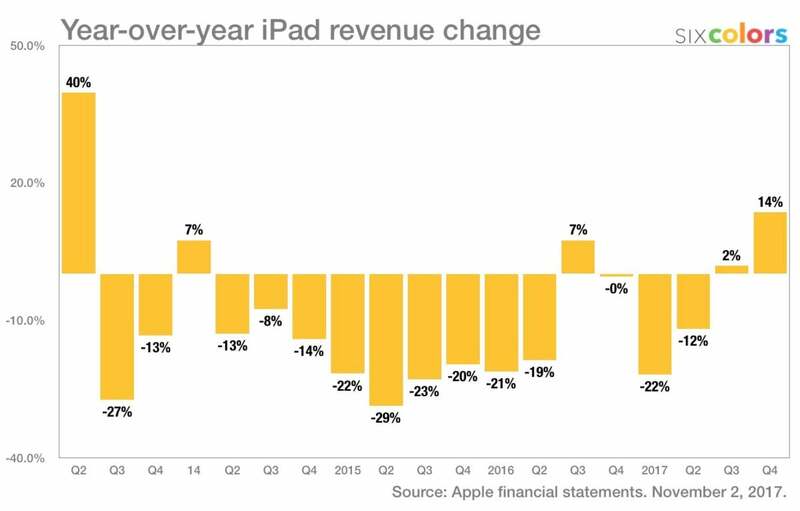 It sure feels like the iPad, which had posted 13 straight quarters of year-over-year sales declines, has finally stabilized. During Apple’s third quarter (April through June), iPad sales went up 15 percent—but revenue only rose 2 percent. That’s because the bulk of the growth in sales was apparently the $329 iPad. 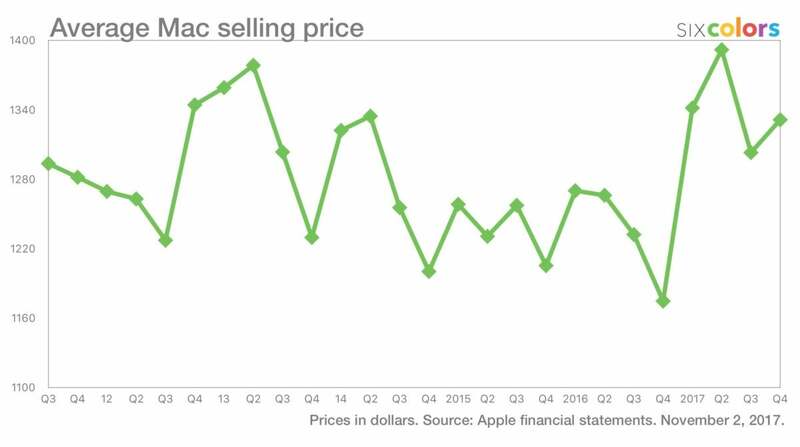 A big sales bump was nice, but we know that Apple feels much more strongly about revenue growth. (Remember how it described the “best Mac year ever” based entirely on revenue.) That’s what made this most recent quarter so much better for the iPad: an 11 percent increase in unit sales was coupled with a 14 percent jump in revenue, the biggest year-over-year revenue jump for the iPad line in more than four years. What it means is that Apple sold an awful lot of iPad Pros—presumably the new $649 10.5-inch model—last quarter. That’s an even healthier sign for the iPad, because it suggests that Apple’s two-pronged iPad strategy—build powerful and expensive iPad Pros at the high end while making the low-end iPad more affordable—is really paying off. 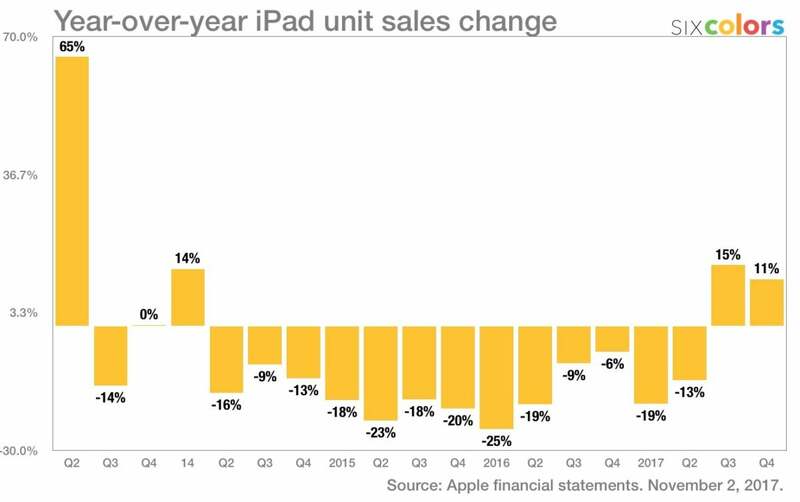 As with so many Apple products, the iPad has historically sold its best during the holiday quarter. So the question becomes, will the iPad be able to continue its sales and revenue momentum this holiday season, and what would that look like? Last year Apple sold 13.1 million iPads during the holidays. It doesn’t seem unrealistic to suggest that this holiday season Apple could sell 14 or 15 million iPads. I’d imagine that sales will skew a little bit more toward the $329 iPad than the iPad Pro, but the most important thing for the iPad now is just to show that it’s a consistent product line growing at a comfortable rate of 5 or 10 percent per year. How big will Apple’s holiday be? We’ll see a lot of anecdotes about Apple products under the tree this December, but we won’t know for sure until next February, when Apple releases its quarterly results. 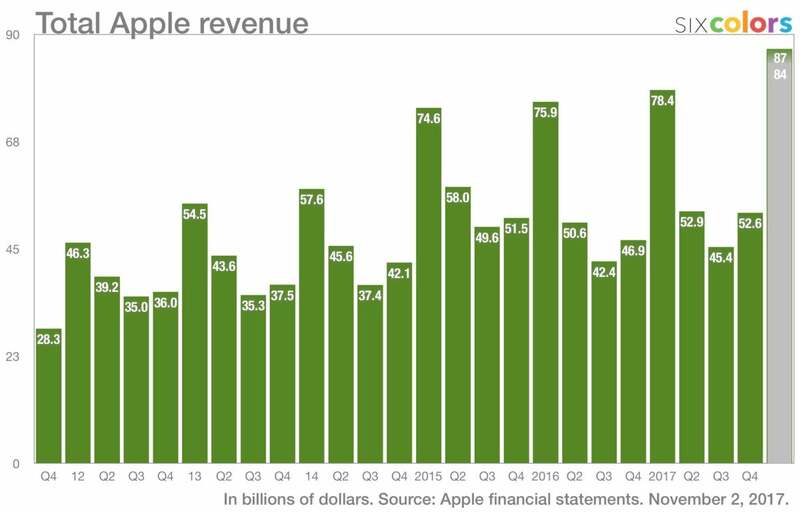 But it’s safe to assume that a lot of charts will need to be recalibrated to take into account another record-breaking quarter for Apple.